The asylum laws need to be changed in order to reduce the number of individuals coming from Central America. Building more “wall” along the border will basically do nothing to help reduce the individuals coming from Central America. And so are infectious diseases being introduced into the United States. (CNN)More than 2,000 people in Immigration and Customs Enforcement custody are being quarantined amid an outbreak of mumps and other diseases. But hey, there is no emergency! I keep thinking cholera is going to break out in L.A. Mass Homelessness and illegals are a scary mix. Sounds like a good reason to shun antivaxers. Everyone gets the pox at least once in their lives and most people become immune to it through acquired immunity. Those vacinated against mumps which is a very large portion of our population really have no wories. And influenza, well that happens everywhere in this country every year, we call it “flu season”, even have shots for it. When these immigrants start showing up with the black plague then we can all start worrying. And nitwits in Congress want to obstruct President Trump from declaring a national emergency and doing something about it. Go figure! See unlike you, we actually do this thing called research. Its something you guys spit on all the time but it gives us modernity among other things. I have no idea what you mean. Please explain. Why is Trump failing so spectacularly at border security? It’s because of traitorous obstructionists who are determined to keep the border open and flood American with the poverty stricken, poorly educated, low skilled, disease carrying and criminal populations of other countries. Crossings were lower? Liars figure and figures lie. Are they not at an 11 year high? 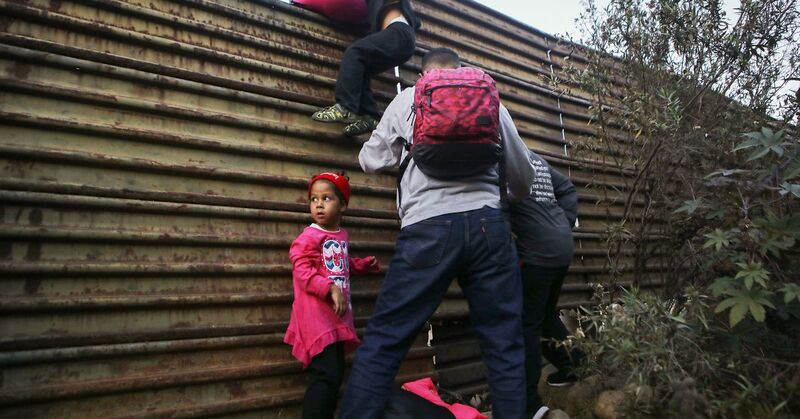 In February 2019, 66,450 migrants crossed the US/Mexico border between official border crossings and were apprehended by US Border Patrol agents, committing the misdemeanor of illegal entry. Overall, unauthorized migration isn’t at record levels. But record numbers of families are coming. Short exerpt from a woodie gutherie song ;). Yes i want to make sure Trump loses on this one. Meanwhile we have radicals on the left wanting to criminalize those that report illegals in Illinois. Only in America where libs have gone wildly extreme. Make no mistake! There is a war taking place on American soil! Well then I’d suggest you join the U.S. Customs and Border Protection agency and do something about it rather the sound the hair on fire alarms on an anonymous internet board.